Indiana’s premiere Apple support professionals. Contact us about Tech Heads services for your no-cost assesment and consultation and save 50% on your first service when subscribing to our newsletter. Tech Heads services are tailored to meet your needs while staying within budget. Tech Heads is Indiana’s premiere computer repair solution offering a wide range of IT solutions for home and business. Whether you would like us to set up your new PC or Apple computer or install an advanced business networking system, Tech Heads is qualified for the job. Tech Heads knows all things Apple. We are Apple certified to take care of your needs. Trained and certified in Cupertino, California, we will make sure you receive the best service and will surpass your expectations. Tech Heads expertise will allow you to get the most out of your Apple products…and have fun at the same time! Whether you want music streaming throughout your house or need a powerful and dynamic business environment setup, Tech Heads tailors all IT solutions around your specific needs. Below is a list of the most common services offered by Tech Heads. If you have questions about any of our services, please email us or call us at 317-809-8912. Tech Heads is Central Indiana’s small business and individual trusted technology expert. 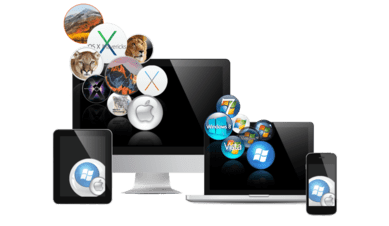 As the original member of the Apple Consultants Network in Indiana, we are certified to address Apple and PC issues alike. Tech Heads offers extensive support and consultation services based upon your needs. Please see our rate schedule below. Standard business hours support is available on an as needed basis during normal business hours of 8am to 5pm EST, Monday through Friday. Many clients prefer a retainer or maintenance type package. This is a customized package for specific services based around your specific needs, workstation maintenance routines, expanded hours of support and more dynamic response times. These packages also have a fixed rate to help you plan your monthly budget. There are no hidden costs. Support for: multi function units, printers, projection displays, etc. Tech Heads supports a variety of data access/backup options depending on your needs, and we may not offer the best solution, but can help support the solution that is right for you. It can be difficult choosing the best option when it comes to data backup with all the choices available today. With the ever-changing technology offered by most subscription services, we are here to help you decide what is best for your needs and guide you through the installation process if desired, and also be there for any on-going support if needed. Contact us today, and we can easily determine what the best data backup solution is based upon your exact needs because everybody’s needs are different. Learn how Tech Heads can transform your business email into a streamlined work environment capable of multitasking on multiple devices in calendars, contacts, notes, email, and even SharePoint. Share calendars with your team and more. Learn how Tech Heads can migrate your existing email accounts from one service to another while keeping your contacts and notes and personal information intact. Please call (317) 809-8912 for more information.